This meenakari Pooja lota is mad from a steel sheet. The type of steel used is stainless steel so that the Pooja lota does not Read More..come in second when against the forces of nature. 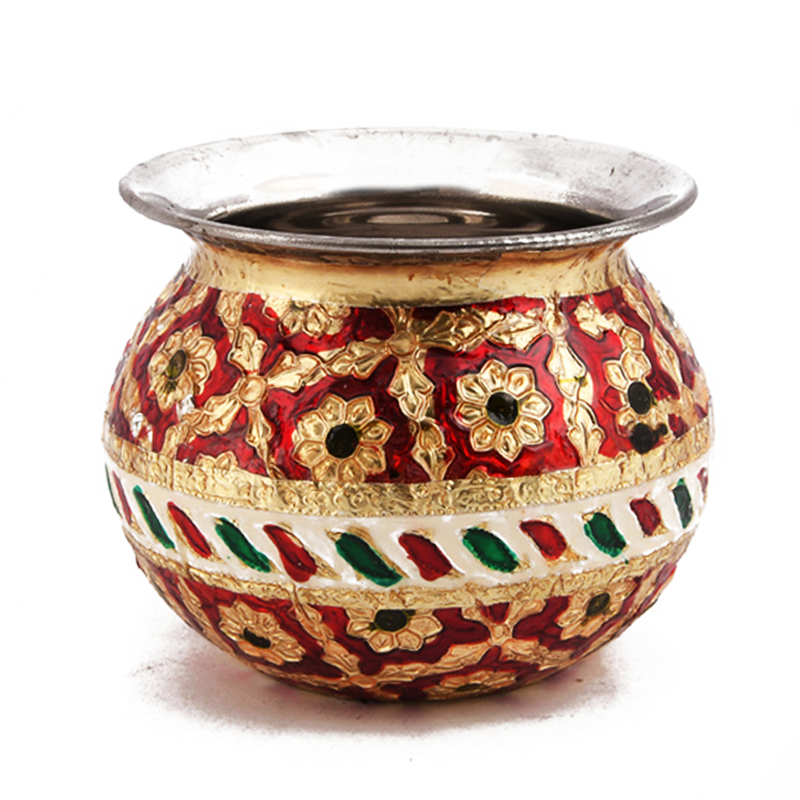 This Pooja lota can be used for any ritual and worship. 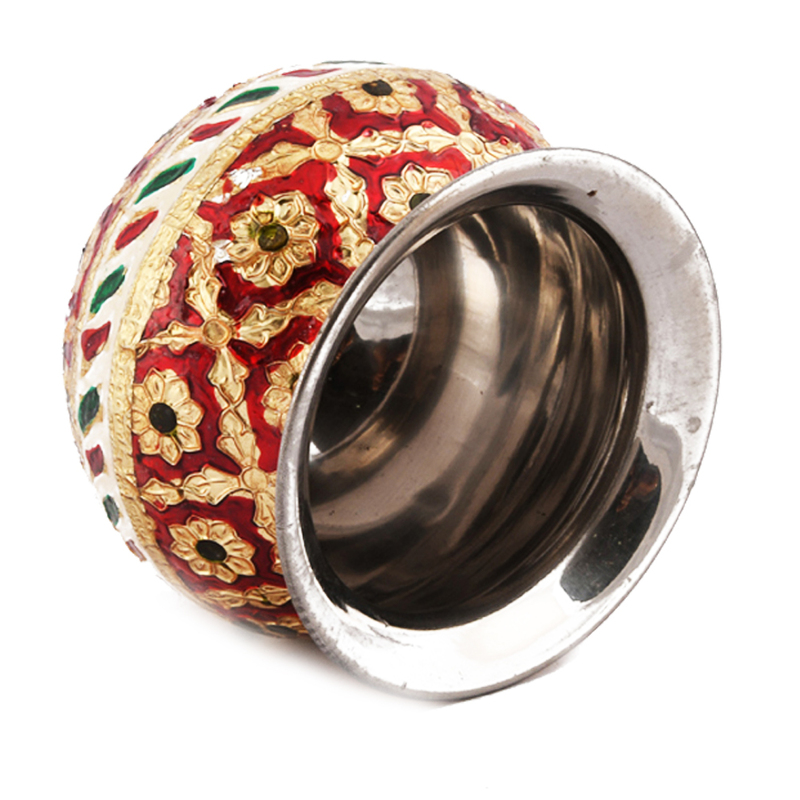 The intricate floral designs of this lota makes it quite an eye catcher. The entire body of this Pooja lota is covered with meenakari work. The polishing of the interior is of superior quality, and the finishing of the overall product is something to be showed off about. Show Less..